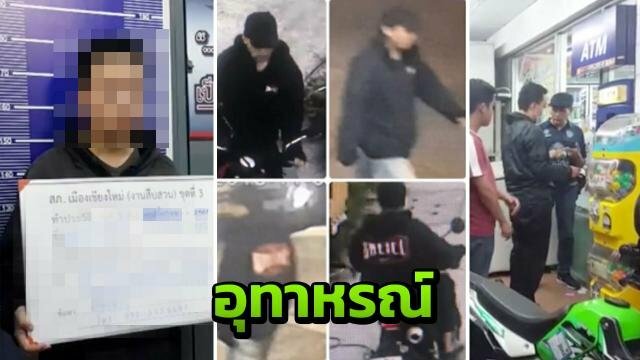 Police in Chiang Mai have warned the public to choose better passwords and PIN numbers after a case in which a thief got lucky after stealing an ATM card along with a Thai ID. The thief – Prawee Supharp, 25 – stole a bag from Chiang Mai university student Patcharee Charoensingthong who had left it in the front basket of her Scoopy i motorcycle. Inside was her ATM and Thai ID. Prawee figured out her ATM PIN number from her date of birth on the ID card. He pressed the ATM at a convenience store near the university getting 33,500 that he used for a shopping spree. Pol Lt Col Anon Chertchutrakoonthong warned the public not to link their important passwords and PIN numbers to such obvious things as their date of birth to guard against such opportunistic crime.